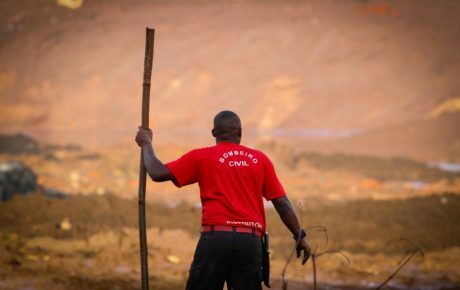 The catastrophe comes just over three years after the Mariana dam collapse, which saw 50 million cubic meters of tailings empty into the Rio Doce, leaving 19 dead, destroying the nearby town of Bento Rodrigues and causing irreparable environmental damage. 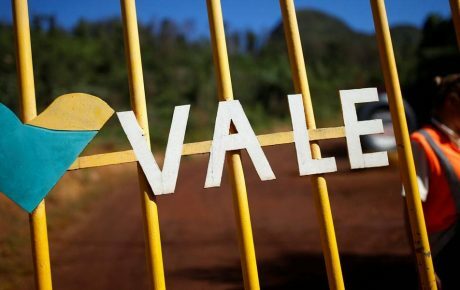 The two incidents are linked, as the dams in question were both administered by Vale, Brazil’s largest mining company. The collapse occurred around 1 pm on Friday afternoon, as many of the workers on site were having lunch. Approximately 3 million cubic meters of iron ore tailings spilled into the surrounding region, affecting nearby communities and causing residents of surrounding towns to evacuate. The fire brigade promptly stated that approximately 200 people were missing, while revised figures are closer to 300. On Saturday afternoon, Vale released a list of 413 dam employees who they were unable to establish contact with. By Saturday evening, the fire brigade updated its death toll to 34 people, with the first identified victim being doctor and Vale employee Marcelle Porto Cangassu. 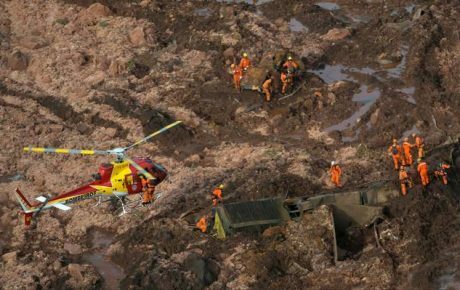 Newly sworn-in Minas Gerais governor Romeu Zema declared that the chances of finding many survivors are low, with search operations expecting to be looking for bodies instead of rescuing people. On what was a typical working day at the Brumadinho dam, some 470 employees were on site at the time of the collapse. 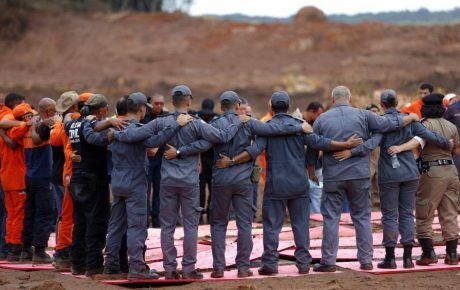 Many of them were having lunch in the cafeteria, which, according to Vale president Fábio Schvartsman, has been buried by sludge. Reports from the region say that the dam’s warning sirens, put in place to alert employees and nearby residents of accidents, were not sounded, robbing many of the precious minutes to flee to safety. A noticeably emotional Mr. Schvartsman drew comparisons between yesterday’s collapse and the Mariana disaster, saying that the “environmental tragedy is set to be much less, but the human tragedy will be bigger.” Vale has had BRL 1 billion of its assets frozen, and its stock price has plummeted. It is still unclear what caused the collapse, and the Federal Police have launched an inquiry into the incident. Particularly concerning is the fact that the dam in question was regarded as having a low risk of collapse, according to recent inspection data. The same inspections found that 45 other dams around Brazil are in a much more troubling situation. President Jair Bolsonaro visited the site today and has assembled a ministerial task force to analyze the causes of the collapse and dish out the required punishment. The new government has been quick to deflect blame away from its administration, which has only been in charge for 26 days. 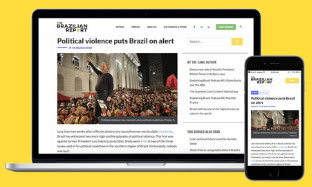 However, Jair Bolsonaro did make it a campaign promise of his to loosen environmental licensing laws for mining and farming operations, weakening the oversight that is required to avoid such catastrophes in the future. Overly strict licensing is not an issue in Brazil, as of the country’s 24,000 dams, 42 percent are entirely unlicensed, according to National Water Agency data. Friday’s catastrophe is set to put pressure on Mr. Bolsonaro to back down from his liberal stance on environmental permits. At the end of last year, The Brazilian Report republished a series of articles on the Mariana dam collapse. 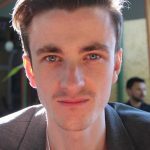 In light of this new catastrophe, which is set to cause a massive loss of life, many of the observations made three years ago become more and more damning. This article was updated at 17:43 with the most recent death toll figures.